I have 4 sets of Tickets to the All Star Race to giveaway! Show your Mom she’s a #ALLSTARMOM by tweeting a photo of you and her, or her in her race attire for a chance you win the tickets! 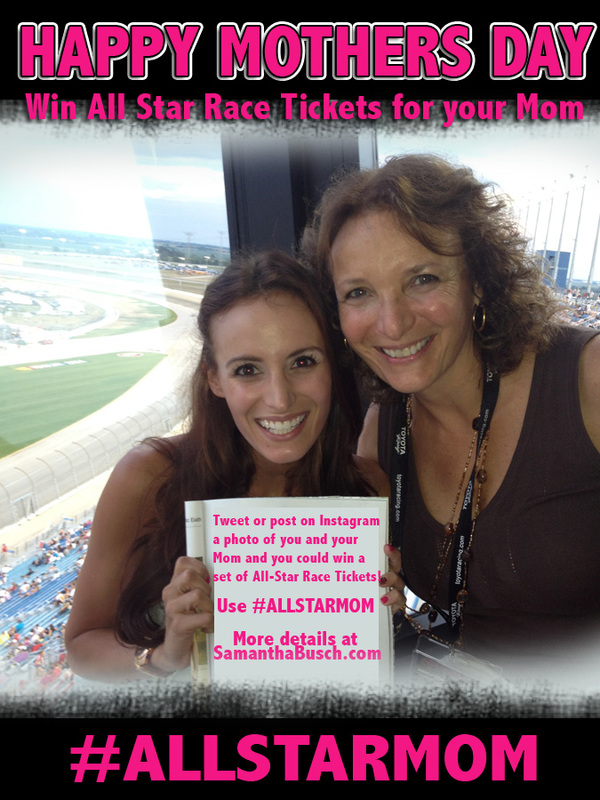 You can tweet or post to Instagram your photos using the hashtag #ALLSTARMOM I’ll pick 4 winners to get a set of tickets to this Saturday Nights All Star Race! !